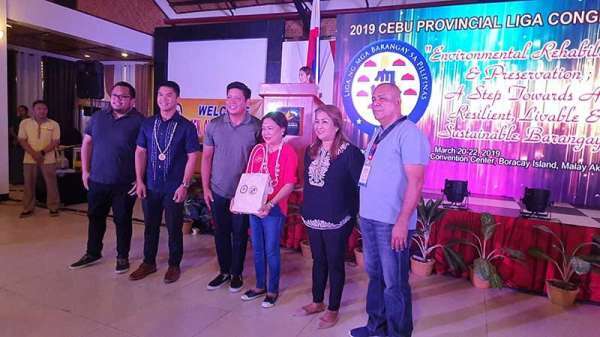 BORACAY Island -- Senator Cynthia Villar urges barangay officials of Cebu to become barangay resilient as the Philippines is considered one of the vulnerable countries in the world in terms of disaster. This was the gist of the message given by the senator during the 2019 Cebu Provincial Liga Congress held at the Paradise Garden and Convention Center Thursday morning, March 21. “The Philippines experiences at least 20 typhoons annually. Some of them were destructive such as Typhoons Ondoy and Yolanda. The barangay is in the front line of disasters. Barangay officials can do simple steps to help preserve the environment,” she said. Among these simple steps include planting both mangroves and or bamboo. She also encourages the use of compost pit that produces organic fertilizer. “Almost a 100th percent of barangays with mangroves plantation has survived the destruction of strong typhoons. Bamboos can also be used as a cheaper source of building houses and chairs,” she added as chair of the committees on agriculture, food security including environment. Villar also added that while many farmers in the barangays are worried over the soil degradation, she said she received a report from the United Nations Food and Agricultural Organization that compost pit is the simple solution. “The Bureau of Soil is giving out free equipment for compost pit. 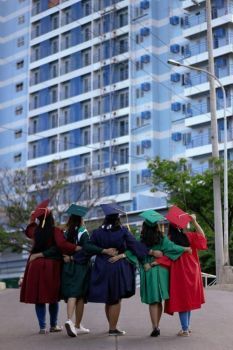 All the barangays should do is to request by writing a letter,” she said. For his part, Celestino Martinez III, Liga ng Barangay President Visayas (Cebu City) said the barangay officials in Cebu has chosen Boracay Island as their venue as a model for rehabilitation. “There are also many tourism areas in Cebu which also has concerns on environmental conservation. We are looking Boracay as a model for environmental sustainability,” he said. The convention was participated by around 600 officials coming from the different barangays of Cebu.